Get the most out of your boating experience by being prepared. Boating in Florida is more fun when you are ready for anything. 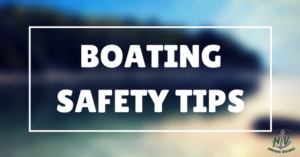 Boating safety should always first and foremost when getting on board a boat. Following are some basics. Sticking to this list of safety tips will make for a fun and trouble-free day on the water. Boating Safety Class. Boating safety classes are usually required in order for an individual to operate a vessel. In fact, 70% of boating accidents are attributed to an operator error, so we can reduce this amount by taking the class. Know Your Boat. Know how to manage your boat. Be thoroughly familiar with navigation, boat safety, boat handling, boat equipment line handling, anchoring, engine troubleshooting, and emergency response procedures. B.e Weather-Wise Check the local weather forecasts and radar before departure. Always be aware of what is going on in the sky. If you notice darkening clouds, wind changes or other such weather indicators, start making your way back to shore. Get a free Vessel Safety Check. The U.S. Coast Guard offers free safety checks for boats. They will inspect and examine the boat to make sure that all required safety gear and equipment is on board and up to date. There are often volunteers at local marinas offering safety inspections. You will receive a sticker to put on your boat. The sticker indicates that the boat is compliant with state and federal safety regulations. Make a Float Plan and Follow it. A float plan is simply a recorded entry of your name, address, departure place and time, expected arrival and boat make and model, as well as any other pertinent information. Float plans are especially important if you’re going to be out on the water for an extended period of time. The information can be given to a friend, family member or someone at the marina. There are also many mobile apps available to make this a quick and easy process. Wear life jackets. The U.S. Coast Guard estimates that life jackets could have saved over 80% of boating fatality victims. Although not required to be worn at all times, it is highly encouraged to keep yourself safe. It is required to have at least one life jacket for every person on board. Make sure to purchase, register, and have onboard your vessel an Emergency Position-Indicating Radio Beacon (EPIRB) or Personal Locator Beacon (PLB). An EPIRB or PLB is used to alert search and rescue (SAR) agencies in the event of an emergency. It does this by transmitting a coded message on the 406 MHz distress frequency via satellite and earth stations to the nearest Rescue Coordination Center, which then notifies rescue personnel. If your EPIRB transmits GPS coordinates, your position can be identified in as little as 2-3 minutes. Save the alcohol for later. Just like driving a car, alcohol greatly affects response time and the ability to focus on what you’re doing. It’s also just as illegal. If you wish to ensure your safety while going on a boating, it’s best to hire a professional captain. Or if you would like to learn more or have the plan to go boating, please leave your inquiries or comments below. It’s great that this article explains how you need to be thoroughly familiar with your boat’s navigation safety, handling, equipment, and other features. This would be important to ensure that you can keep it under control no matter the situation while you’re on the water. When purchasing a new boat, you’d probably want to ensure you research the models and find one that you’re comfortable with so that you can ensure you’ll be able to properly drive it.